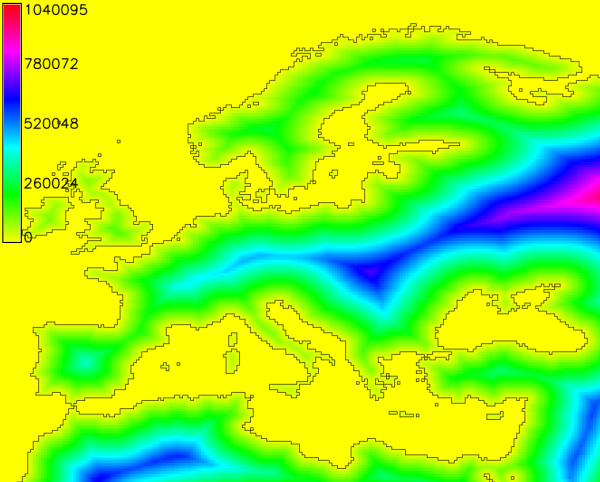 r.grow.distance - Generates a raster map containing distances to nearest raster features. 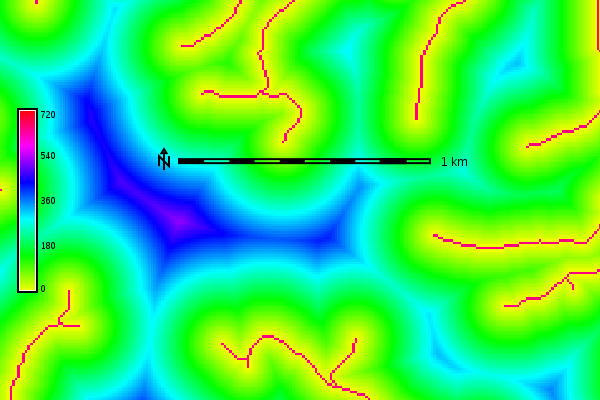 r.grow.distance generates raster maps representing the distance to the nearest non-null cell in the input map and/or the value of the nearest non-null cell. 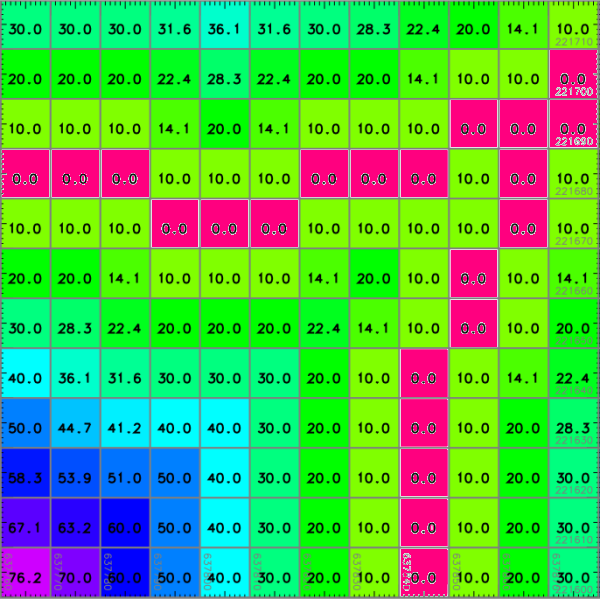 The flag -n calculates the respective pixel distances to the nearest NULL cell. The user has the option of specifying five different metrics which control the geometry in which grown cells are created, (controlled by the metric parameter): Euclidean, Squared, Manhattan, Maximum, and Geodesic. Cells grown using this metric would form isolines of distance that are circular from a given point, with the distance given by the radius. The Squared metric is the Euclidean distance squared, i.e. it simply omits the square-root calculation. This may be faster, and is sufficient if only relative values are required. where cells grown using this metric would form isolines of distance that are rhombus-shaped from a given point. The Geodesic metric is calculated as geodesic distance, to be used only in latitude-longitude locations. It is recommended to use it along with the -m flag in order to output distances in meters instead of map units.